Through our Helicobacter pylori test you will find quickly out if the patient has diseases caused by this bacterium, which is hard to diagnose through “classical“ methods. Helicobacter pylori is a coil-shaped bacterium that settle on gastric mucosa. Often the infection doesn´t have symptoms, but can give rise to gastritis or stomach/duodenum (fist intestine tract) ulcer. Rarely occur symptoms as nausea, vomiting, appetite loss. Sometimes the ulcer bleeds and leads to anemia. The H.pylori infection enhances the lymphoma MALT and gastric carcinoma risk. Through the high bacterium´s ureasic activity our Breath-test gives easily a diagnose about this infection. The patient will swallow urea marked with an hydrogen isotope (13C or 14C). After urea´s swallowing, the ureasi generated by the bacterium hydrolyses the urea in ammoniaca and carbone dioxide. The latter is absorbed by gastric walls, then is carried by blood and finally exhalated. 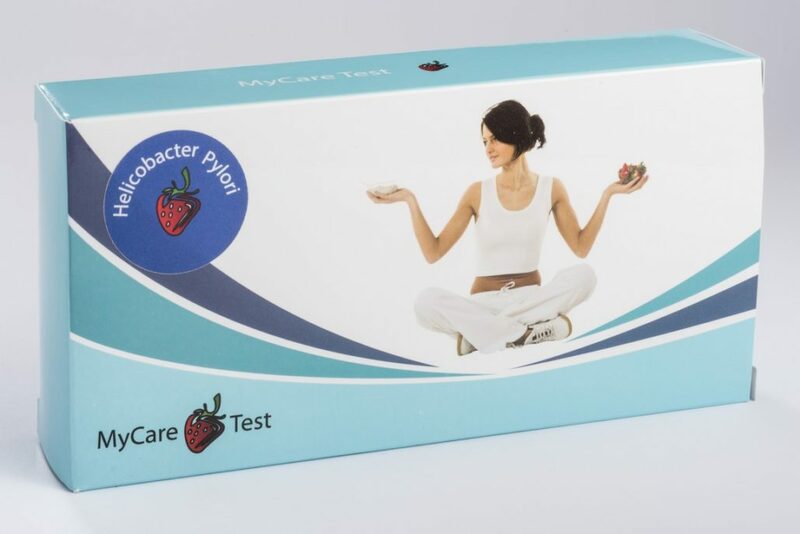 MyCare Test PYOLOR is a simple one step immunochromatographic assay for the rapid, qualitative detection of Urease with H.Pylori infection in saliva. The analytical sensitivity of the test is 5 ng/ml H. Pylori urease. Unscrew blue cap. Inhale strongly and exhale through the dedicated strow. Close the specimen. Swallow, without dissolving them, 2 integer urea´s tablets which you find in the test, 37,5 mg each. 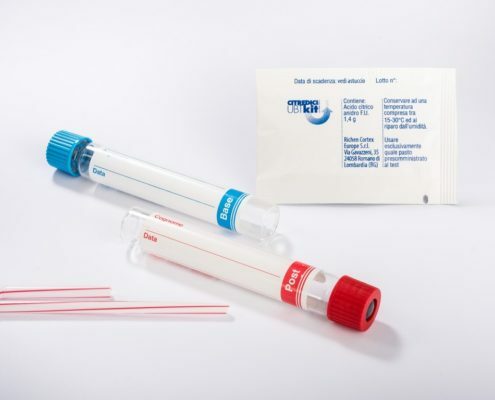 Set the 2 specimen inside the test kit, fill in the patient´s form and give it back at the place where you bought it. No food or drink should be taken at least one hour prior to collect saliva specimen. Expel saliva into the provided Saliva Collection Cup. Squeeze 2 drops of the extraction buffer into the test tube. 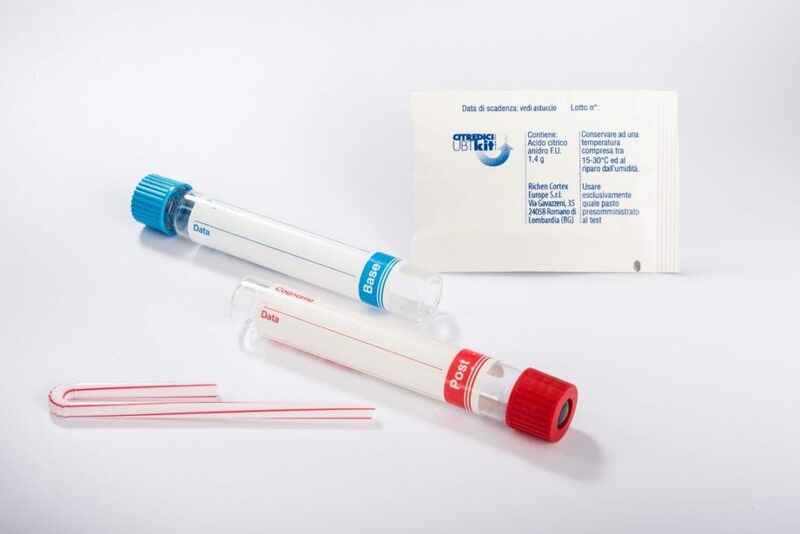 Transfer 4 drops of saliva from the collection cup to the test tube using the sample dropper. Mix saliva/buffer well with the provided sample dropper. Interpret test results at 5 to 15 minutes. Do not interpret test result after 20 minutes.